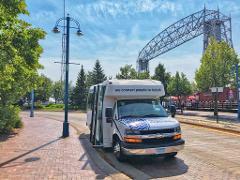 The Duluth History & Sightseeing Bus Tour will take you back in time and give you a deeper appreciation for the City of Duluth – an epic story that helps place Duluth’s present and future in a much more comprehensive context. 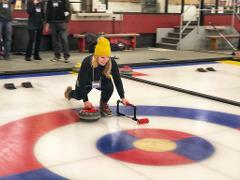 Learn to curl with The Duluth Curling Club - home of the gold-medal winning U.S. Men's Olympic Curling Team. There's no question that this is the best sheet in town! 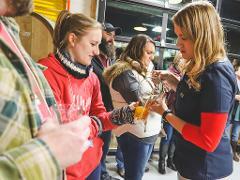 The Northern Lights Brew Tour combines behind-the-scenes VIP sampling, awesome vistas, great storytelling, and a bunch of Saturday night fun in the Twin Ports. 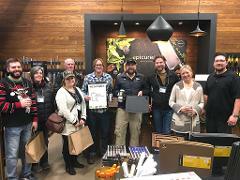 Experience exclusive, behind-the-scenes tours at Earth Rider Brewing and Epicurean and connect with two progressive businesses that are re-defining what it means to be a Superior Maker. Enjoy craft beer samples and meet your makers.